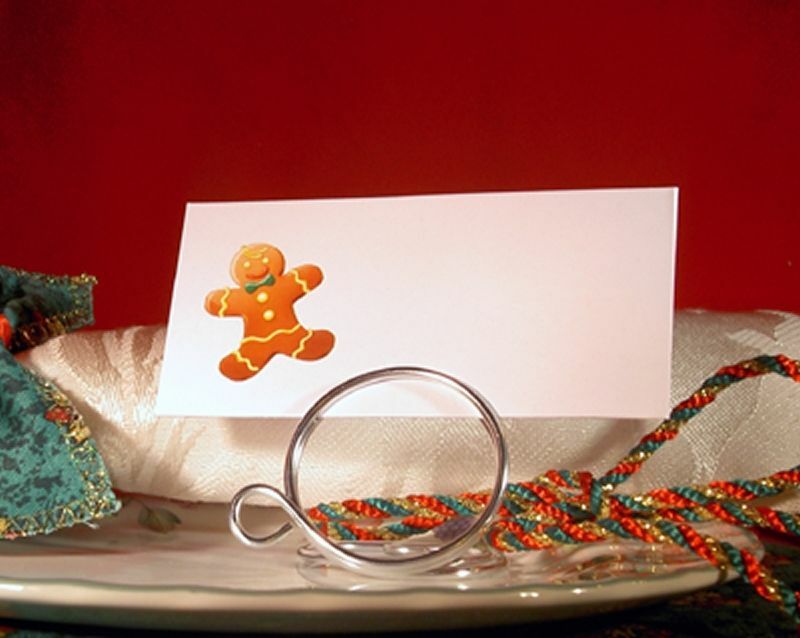 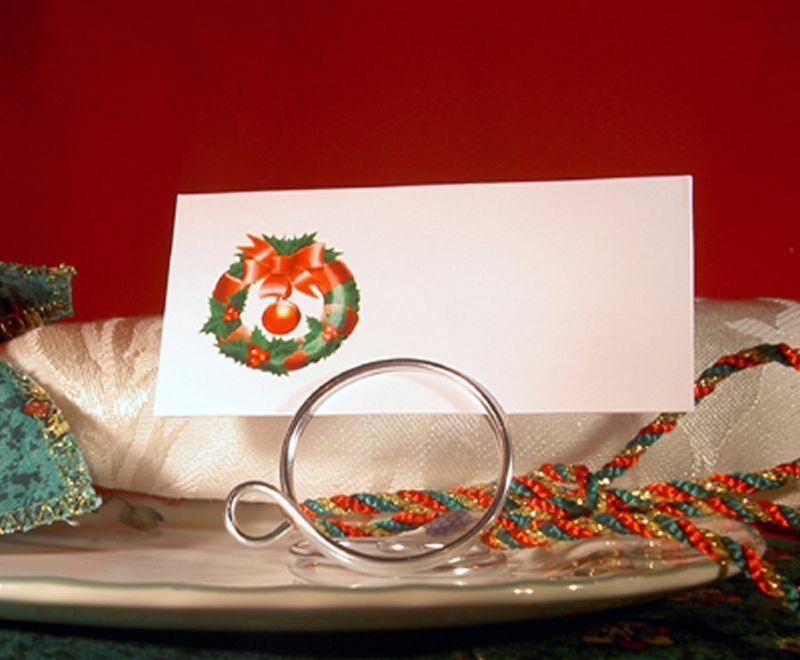 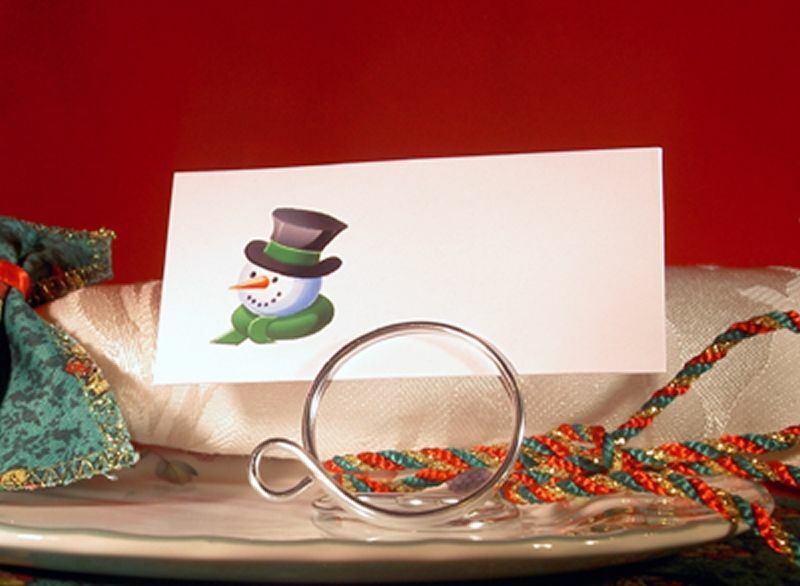 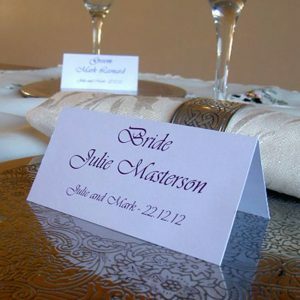 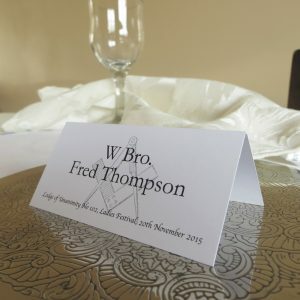 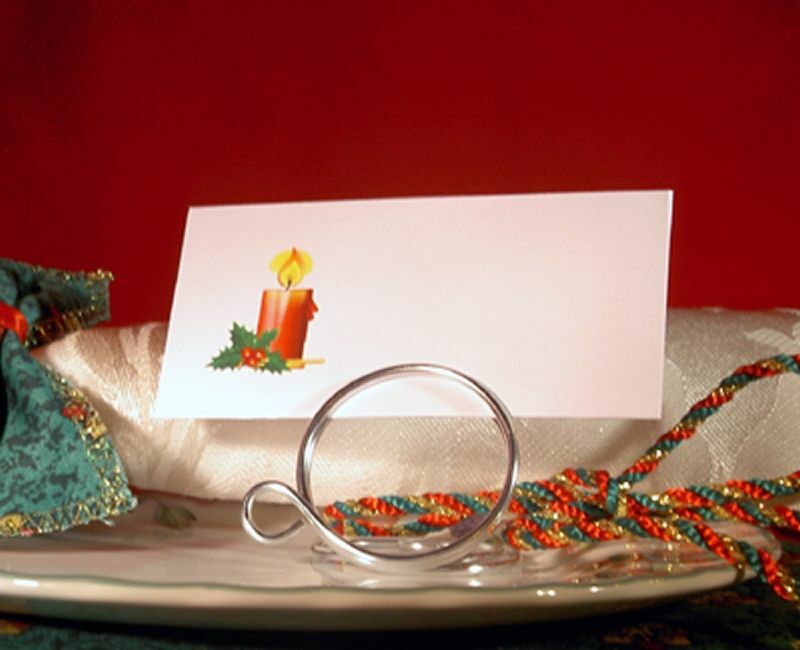 Get your guests in to the Christmas spirit with these traditional festive place cards for holders. 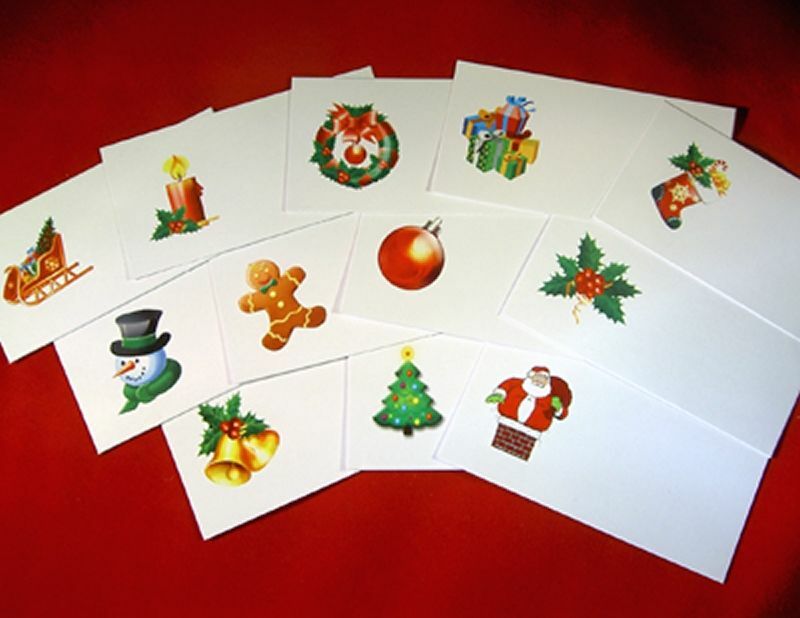 Twelve designs to choose from or buy a mixed pack. 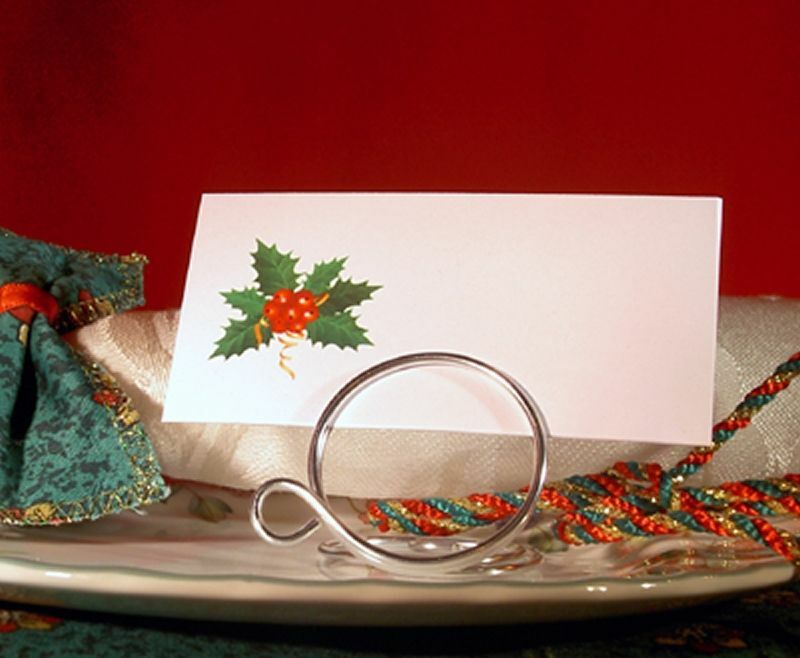 Get your guests in to the Christmas spirit with these traditional festive place cards for holders. 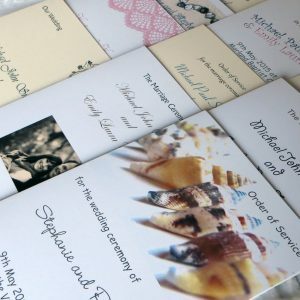 Twelve designs to choose from or buy a mixed pack, ideal for Christmas dinner parties, office dinners, Christmas weddings etc. 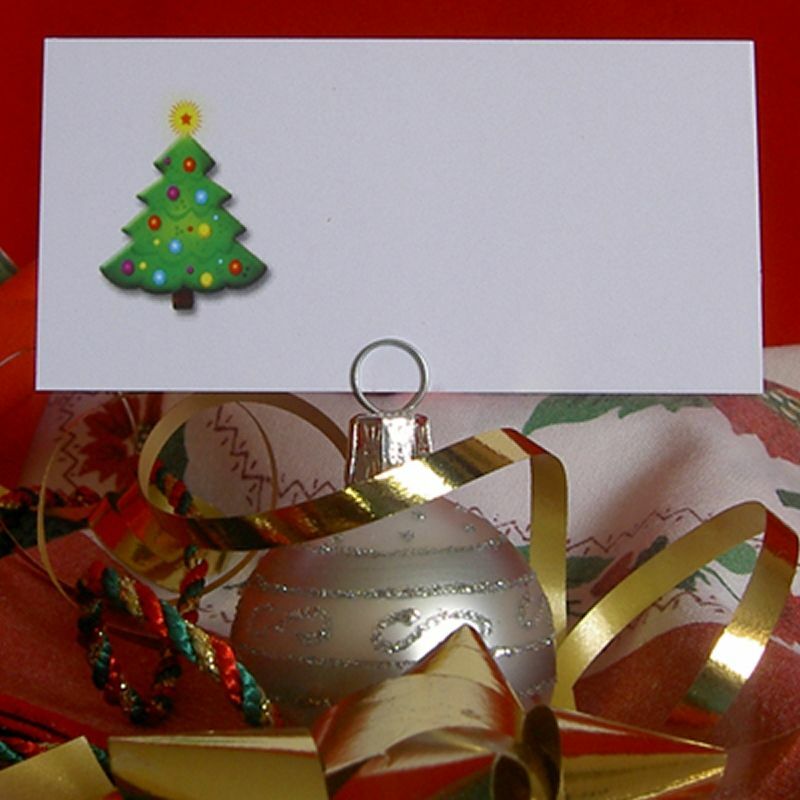 Digitally printed on 250gsm smooth white card with your chosen design. 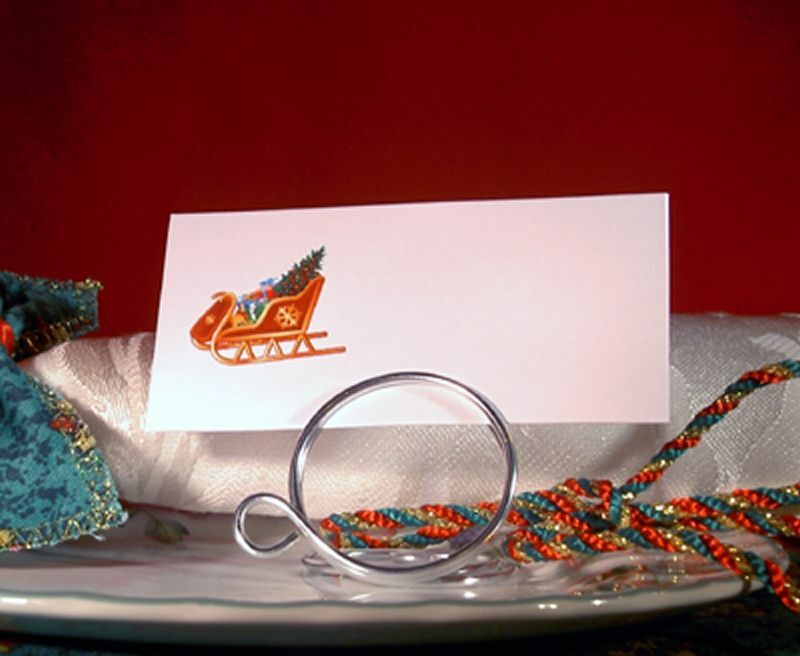 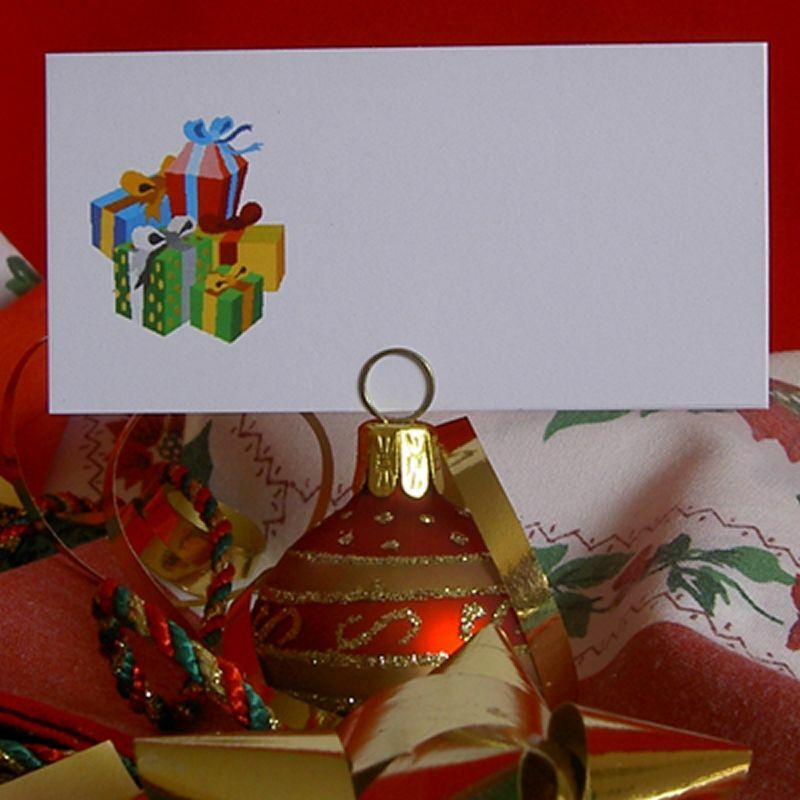 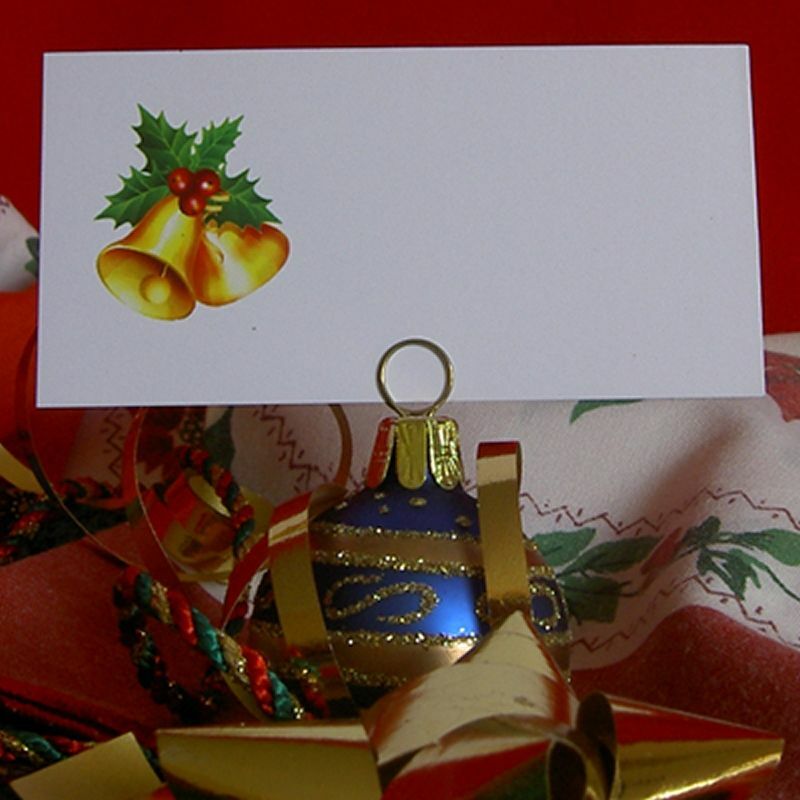 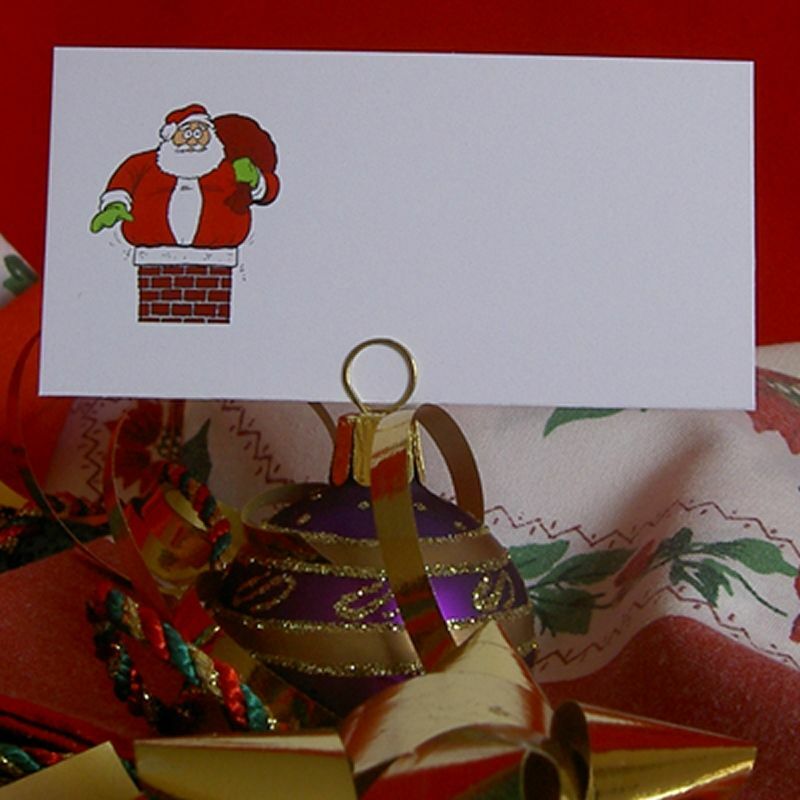 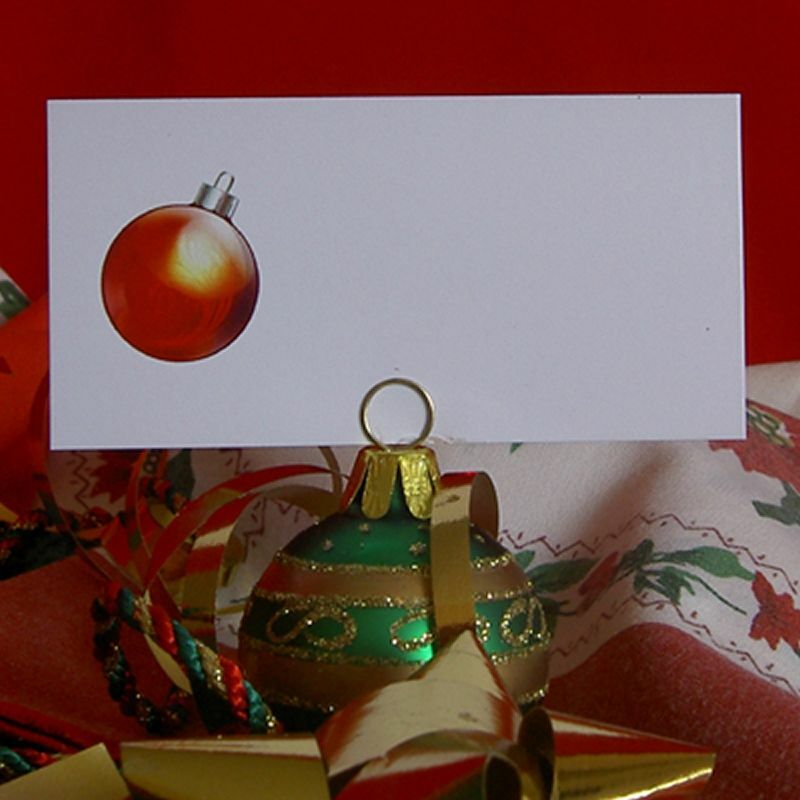 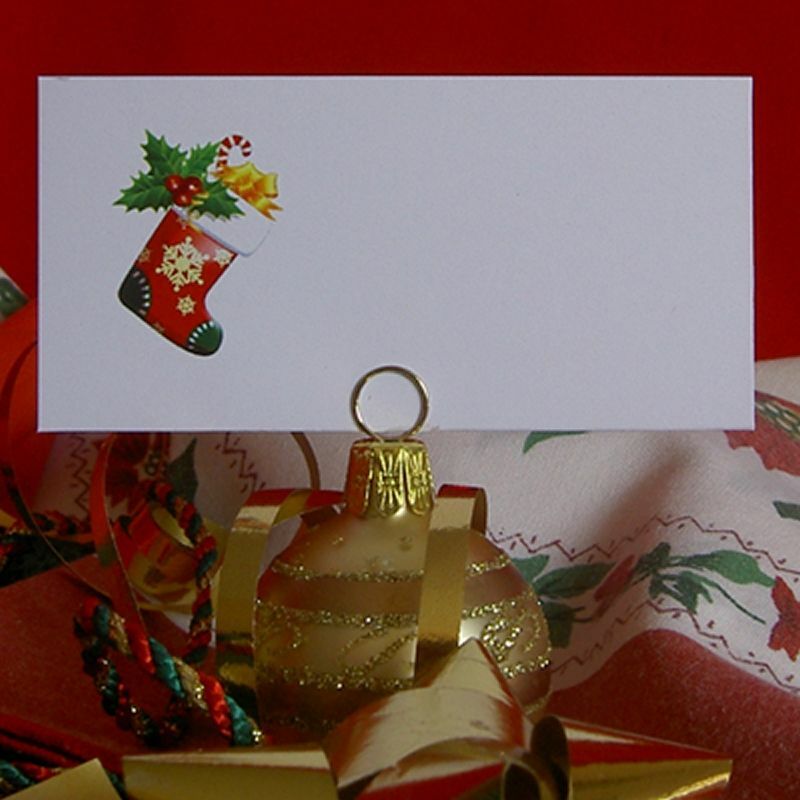 These are flat cards trimmed to 45mm high x 90mm wide, ideal for slipping in to festive card holders. Choose from twelve festive place cards designs:-Santa, Christmas Bauble, Santa’s Sleigh Sprig of Holly, Christmas Presents, Holly Wreath, Snow Man, Festive Candle, Ginger Bread Man, Christmas Tree, Christmas Stocking and Christmas Bells or you can order a mixed pack.